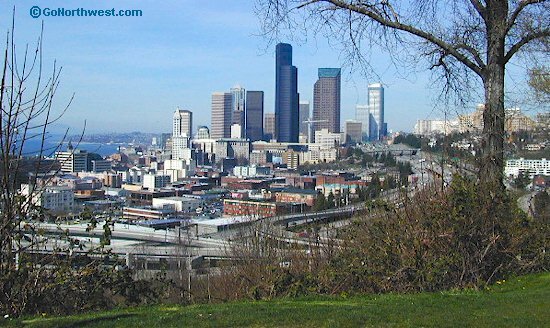 Rizal Park offers 90º views over Elliot Bay, the Port of Seattle, I-5, and the southern side of downtown. 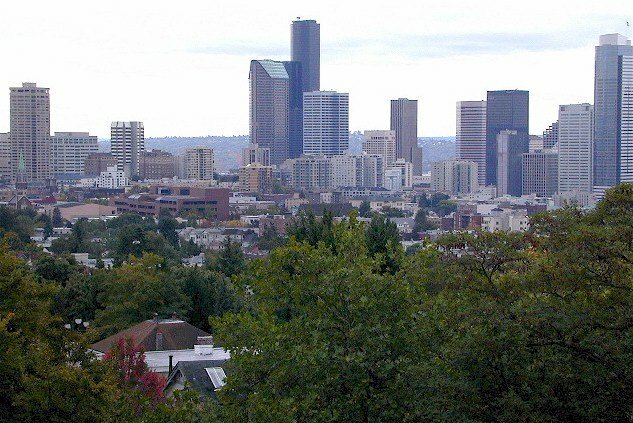 A funny thing about the angle on downtown, is that the Space Needle is hidden from view. But there is a lovely shot of the Smith Building. 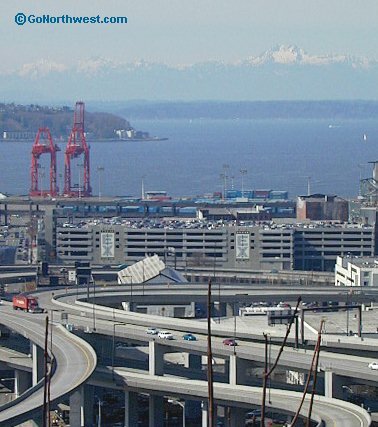 In the middle-distance, you can see the roadway spaghetti that is the juncture of I-5 and I-90. Best time for photos is in the AM. The following photos were taken late morning, on a slightly hazy, sunny day in late March. Click on photo for full-size image. 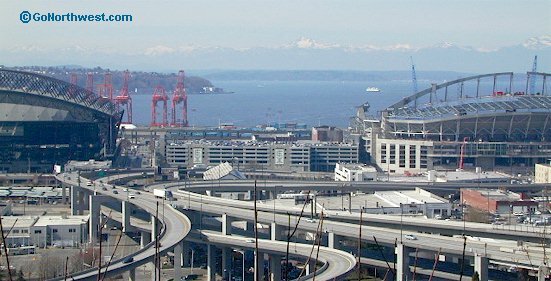 Looking northwest over I-5, towards downtown Seattle (45kb). 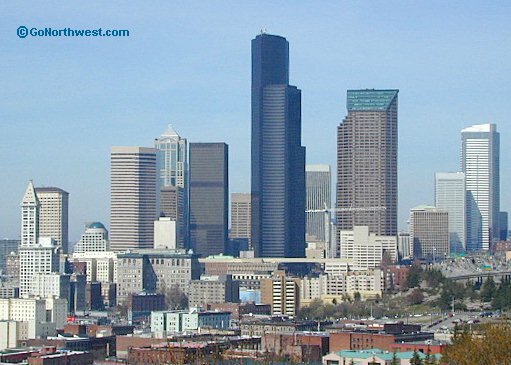 Closer view of downtown Seattle (50kb). Closer view of Elliott Bay (44kb). Looking west through Safeco Field baseball stadium and the Seattle Seahawks stadium to Duwamish Head (52kb). A closer view looking across the juncture of I-5 and I-90 to the Olympic Mountains (45kb).